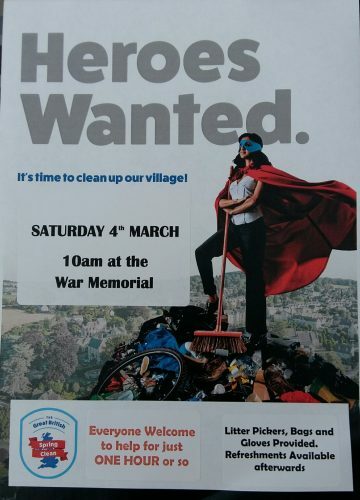 Chesham Bois Parish Council are backing a new nationwide campaign ‘The Great British Spring Clean’ which aims to get half a million people out and about cleaning up their local communities in March 2017. Our event will take place on Saturday 4th March at 10.00am. All equipment will be provided. Please join us for an hour or so to help keep Chesham Bois litter free. Refreshments will be available afterwards.